A new battle is brewing over President Donald Trump’s proposed “border wall,” this time about the impact it could have on the environment. Scientists are raising concerns about the administration’s planned wall, which Trump has incrementally increased in height as the months of debate drew on. In February he suggested the wall should be around 55 feet, tall enough to be “physically imposing” and a deterrent to the flow of migrants and illicit drugs across the border, he said. But while many experts doubt whether a concrete wall will really stem all illicit entries from Mexico, there’s plenty of research to show that a 30- to 60-foot wall could be devastating for thousands of wildlife species that make their homes along the two nations’ boundary. “[The] 654 miles of walls and fences already on the US-Mexico border have made a mess out of the environment there,” wrote Eliza Barclay and Sarah Frostenson of Vox Media. They’ve not only increased the demand for roads through ecologically sensitive areas but heightened climate risks like floods. 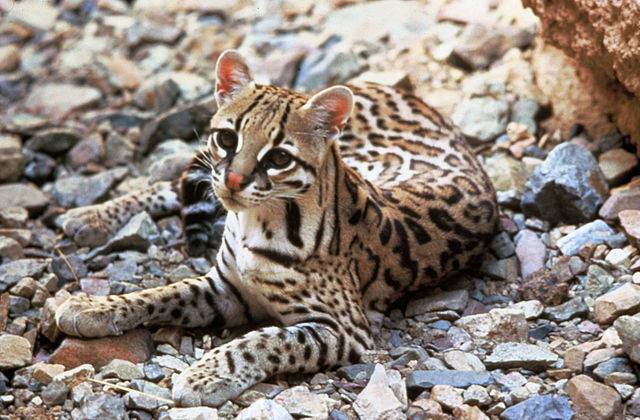 They have also impeded the flow of species native to the Sonoran Desert, which not only occupies parts of Mexico, California and Arizona, but made it harder for species like the endangered leopard to survive. So last week the Center for Biological Diversity (CBD) and Rep. Raúl Graijalva (D-Ariz.) announced they had filed a lawsuit against the Trump administration stating that it is required by law to order an environmental impact assessment before initiating construction of the wall. Construction of the concrete wall, which is already in the planning stages by the Department of Homeland Security, won’t just increase carbon emissions, experts say, but require even more roads, vehicles, foot traffic and monitoring along the 2,000-mile border than ever before. The wall is currently estimated to cost $22 billion. Approximately $1.4 billion of that has already been secured by Trump to launch the project. Graijalva said that while the project has been spearheaded by Trump as a campaign promise, it’s Congress that should be expecting environmental risks to have been evaluated and addressed before approving money for the project. "[At] the end of the day, it’s Congress that appropriates the money, and it behooves Congress to want an independent analysis to look at all the consequences before we throw money down a rabbit hole,” said Graijalva. “Trump’s border wall will divide and destroy the incredible communities and wild landscapes along the border,” Kieran Suckling, CBD’s founder said, noting that animals rarely observe national boundaries and could be put at risk if they are unable to range and hunt for food. Laws empowering DHS to construct security measures like fencing and walls along the nation’s 700 miles of land-locked border have grown increasingly stronger in recent years. Amendments to the Illegal Immigration Reform and Immigrant Responsibility Act of 1996 (IIRIRA) after the 9-11 attacks have given DHS the ability to “waive all legal requirements” that could interfere with the construction of barriers meant to increase safety to the US borders. But it doesn’t absolve the DHS of doing due diligence when it comes to evaluating the environmental impacts, say Suckling and Graijalva. The Center for Biological Diversity argues that there have been many changes to security measures along the border in recent years, and an EIA is needed before a border of this magnitude is planned. The DHS on the other hand, is sticking to the premise that previous amendments give it the power to erect the barrier as it sees fit and expeditiously, without judicial or environmental review. That’s a concern, for some, says the Congressional Research Service, which published a report on the legality of Trump’s wall. “The scope of this waiver authority is substantial with some observers describing it as possibly having greater reach than any other waiver authority conferred by statute – leading some to express concern over its breadth and the limited scope of judicial review available for waiver decisions,” wrote Michael Garcia, Acting Section Research Manager of the Congressional Research Service (pp. 22-23). And while this waiver was not written with the intention of circumventing environmental laws, says the report, “the waiver potentially could be employed with respect to any other existing legal requirement – provided that the Secretary of Homeland Security concluded that compliance with the requirement would impede expeditious construction of barriers and roads.” Garcia pointed out that waivers under Section 2 (c) of the IIRIRA have successfully circumvented state and federal laws that could conceivably slow down DHS’s mandated responsibility. The report doesn't directly address environmental impact assessments, but it does note that DHS' power to waive legal requirements is broad -- and legislation enacted by Congress may be the only real impediment to preventing Trump's plan to build a US-Mexico border wall. "If Congress disagrees with DHS’s implementation of the fencing man date under Section 102(b), it would likely need to enact legislation to modify or clarify the fencing requirements found in current statute," the report stated (pg. 25). Suckling points out that this lawsuit constitutes the 10th suit to have been lodged against the Trump administration since it took office. Whether it will actually be able to force the DHS to order an EIA is yet to be seen. Recent reports of environmental problems stemming from washed out border fencing and other constructs put in place to secure the US-Mexico border would likely offer some weight to the argument that America’s efforts to secure its boundaries must be done with current residents and environmental impacts in mind.